Cold weather brings the holidays, winter sports and flu season. 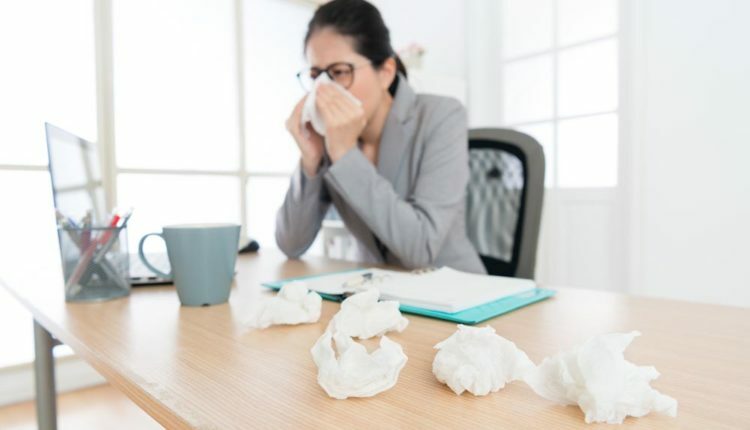 If you don’t maintain a clean, healthy office environment, flu season can get out of hand quickly. Make sure your office in Little Rock, Arkansas is stocked with disinfecting wipes, trash cans and hand sanitizer. Stop spreading germs around your office by implementing the following healthy habits into your daily routine. Avoid dealing with long periods of sickness by getting your flu shot early in the season. According to the CDC, during the 2016-2017 flu season, the flu vaccine prevented an estimated 5.3 million flu illnesses. Not only will you be protecting yourself by getting the vaccine, you’ll be protecting your entire office. Stay home when you’re sick or have a fever. Use sick days and encourage others to do the same. Staying away from the office while sick limits the spread of contagious germs. Don’t share food, pens or phones during flu season. Any frequently touched items are full of germs. If you do need to borrow someone else’s office supply, wash your hands immediately after. You’ve probably heard this your whole life. Make sure you’re washing your hands thoroughly and often enough. It’s especially important to wash your hands before eating, after touching items in common areas and after blowing your nose. Wipe down your desk and common areas with disinfecting wipes or spray. Focus on keyboards, phones, refrigerators and water stations. Keep your office stocked with hand sanitizer and any other cleaning supply you may need. Your hands are one of the largest carriers of germs on your body. Touching your mouth, eyes and nose delivers these germs straight into your system. It also encourages the spread of your own germs if you touch door handles or common office supplies after your face. Keep your distance from your coworkers. Avoid sharing items and standing too close especially if someone is sick. After you use tissues, throw them away immediately. Encourage this behavior by placing trash cans throughout the office. Disinfect your hands and any other surface that comes into contact with used tissues. Inform your coworkers about best practices to limit the spread of germs in the office. It takes everyone to maintain a healthy and germ-free environment. Deep clean the kitchen, bathrooms and meeting rooms at least once per week. This is a great time of year to schedule regular professional cleanings. Keeping your office free from harmful germs is one of the best investments you can make. Stay healthy this flu season. If you decide you need regularly scheduled professional cleanings, ServiceMaster Twin Cities in Little Rock, Arkansas can help. Contact us to receive a free quote for custom cleaning services.